I became interested in Bowen when most other physical therapies had failed to help my chronic back pain. Bowen gave me significant relief and I was impressed by the subtleties of the approach. I studied for my Diploma under the Bowen Academy of Australia (Bowtech) and I also have the ITEC Anatomy and Physiology Diploma, qualifying in 2003. I have completed my advanced Bowen modules, and have started my Bowen Masters-level work. I have had the privilege of being taught by Oswald and Elaine Rentsch who learned from Tom Bowen himself. I am a full member of the Bowen Practitioners associated with the Bowen Therapy Academy of Australia and the UK Association. I was Chair of the Bowen Association UK Committee 2016-17. I am also a member of the Bowen Therapy Professional Association. I have contributed to articles in the Bowen UK Newsletter and International Journal, 'Bowen Hands' amongst others (see below). I have Professional Membership with the Hypermobility Syndromes Association (HMSA) and the London & SE Hypermobility Club, (an academic group, led by Professor Rodney Grahame) and Dance UK. I also have a full Criminal Records Bureau (CRB) check. I am presently medically retired. I am now lecturing in the UK and Internationally on the topics of both Bowen and Hypermobility, HSD/hEDS and have given lectures in a range of places including at Trinity Laban, Tring Ballet School, Royal Academy of Dance, the Pilates Foundation and at the Hypermobility Syndromes Association (2012 & 2014) residential weekends. 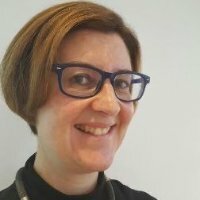 I have written a number of articles about the Bowen Technique, and have had several published including one by The British Medical Journal, the Hypermobility Syndromes Association Newsletter and Ehlers-Danlos-UK magazine, 'Fragile Links.' I have also had articles published about me in the Cambridge Explorer Magazine and The Dancing Times. I have co-authored a book called 'Managing challenging and chronic medical conditions using Bowen Technique' with author and Bowen Instructor, John Wilks (2014). Most recently I had an article in the American Journal of Genetics where I write about Bowen Technique and narrative medicine in working with those with hypermobile Ehlers-Danlos Syndrome (March, 2015).